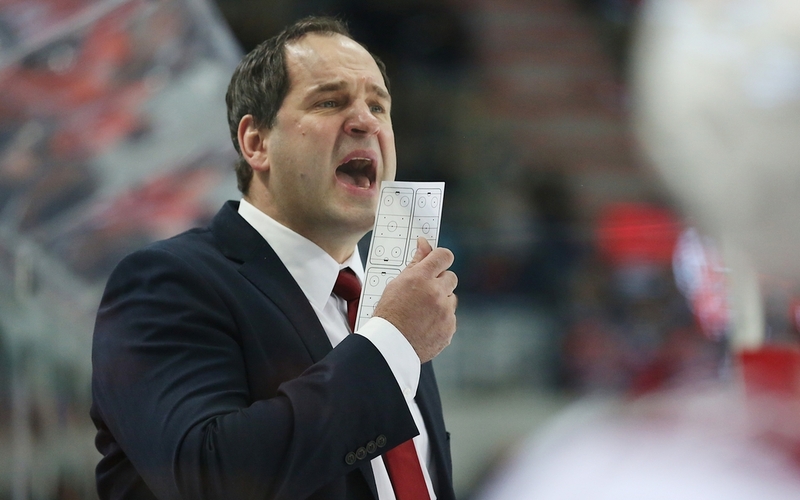 Hiring Sandis Ozolins means creating big hopes, but the coach didn’t have a great success in his first attempt as a KHL team’s head coach. Dinamo Riga was very low in the standings since the start of the regular season. After a decent first away trip, the team lost the patience and the boards decided to fire the head coach Sandis Ozolins, who was substituted by Girts Ankipans. The Riga-based team managed to get out of the last place in the standings but couldn’t even talk about the playoffs. 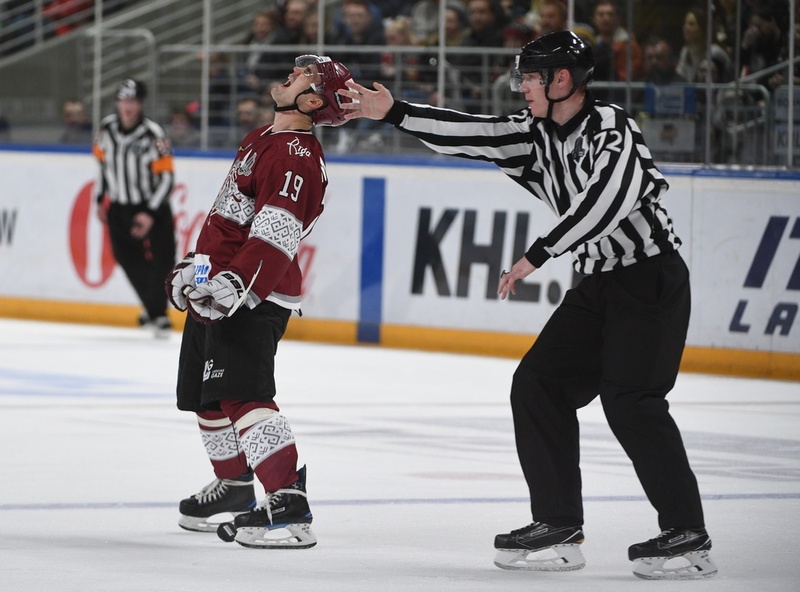 Dinamo Riga started the season with an away trip, having good games against Avangard Omsk and Sibir Novosibirsk, but losing both the games (1:3; 1:2). However, the fans could be satisfied with the team’s game. The only thing that the team lacked was a bit of finishing and luck and it was seeming like just a matter of time before Dinamo started winning games. The first win of the season happened at the third game. Barys lost to Riga at home in a high-scoring game (3:5). Next, Dinamo managed to get two points in Khanty-Mansiysk (3:2 OT). The fans were thus looking forward to the upcoming home series. It’s hard to tell what really happened in Riga, however. In each of the games against Spartak, HC Dynamo, and Lokomotiv, Dinamo scored only once, allowing three goals to the Red-Whites, five goals to the Blue-Whites, and two to the Railwaymen. It’s true that in the game against Lokomotiv, Daniil Apalkov brought the win to his team at only two seconds to the horn, but the Railwaymen looked much better than the opposition for the whole game. Dinamo had 14 straight defeats. However, to fire Ozolins, 12 of them were enough. 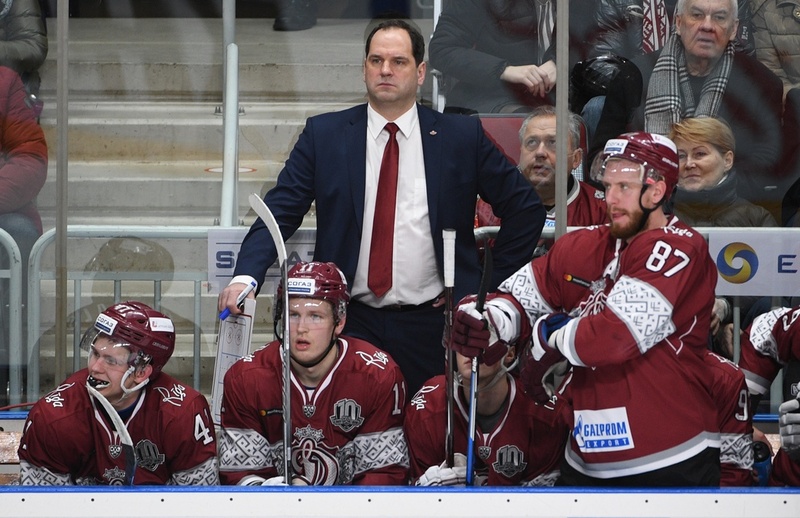 Ankipans was called to replace Ozolins, and the new head coach slowly started changing Dinamo Riga’s game plan. He tightened the defense up, changed a bit the roster, and started trusting the younger players more. It’s impossible to say that Dinamo started winning games one after another, the team’s morale was very low, but the quality of the game started getting better and better, even if the team lacked a bit of consistency. After two or three good games, you could bet that a defeat was coming. The season’s highest moment was the open-air game against Dinamo Minsk in Riga. Dinamo organized a true party for their fans, but they could not defeat Minsk (2:3). The Latvian team managed not to get to the last place in the overall standings, surpassing Ugra, but they finished the season as the Western Conference-worst team. It’s known already, that next year Ankipans will keep on coaching the team. Girts Ankipans didn’t have much experience as he was an assistant coach for Dinamo and Torpedo Nizhny Novgorod, worked for the Latvian national team, but never was a head coach at such a high level. The specialist didn’t have the easiest of the tasks as he had to pull the team out of the hole they dug themselves at the start of the season. Not finishing the season at the latest place can be called a small success, and Ankipans’ merits are evident, but in Riga, the expectations are much higher. On November 4, Dinamo landed in Yaroslavl to face Lokomotiv, who were in a good streak at the moment. The home fans were expecting an easy win. 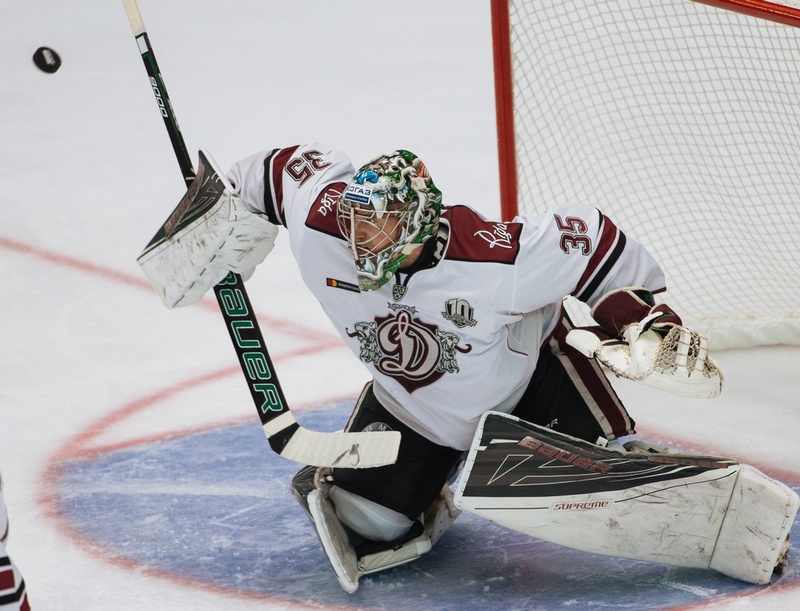 However, Dinamo Riga was much better than the Railwaymen: Janis Kalnins had a shutout, Miks Indrasis scored three points (2+1) as the team ended 4:0 in the guests’ favor. Dinamo had many bad games last year. But one game was particularly bad. On September 8, Dinamo needed to defeat Barys to try and revert the momentum, but they could not to. Dinamo got brushed away with a 0:6 score. Nigel Dawes and Konstantin Pushkaryov scored a pair for Barys. 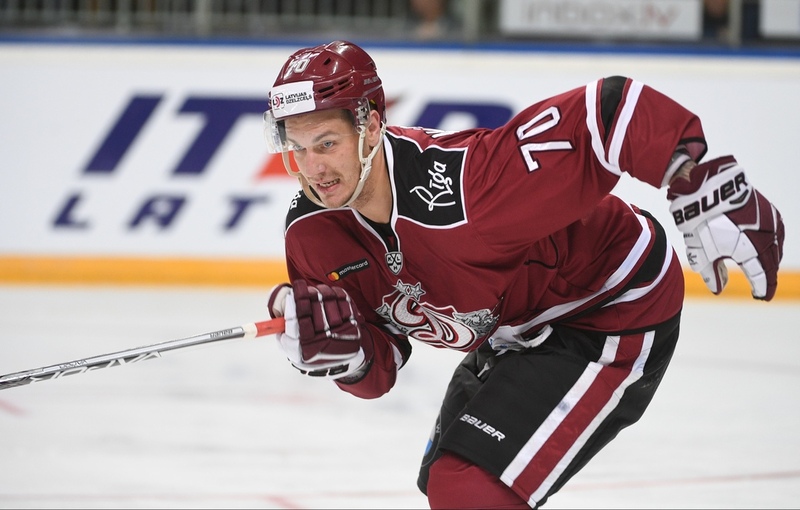 Miks Indrasis was undoubtfully Dinamo Riga’s best player. But not only, he also had his best season in his career. At the start of the season, he was even amongst the league’s top scorers. He finished the 2017/2018 campaign with 42 (21+21) points in 56 games. No one of his teammates could even get close to his stats. Next year, Indrasis will play for HC Dynamo Moscow. In Riga, there were big expectations on Justin Peters. The Canadian goalie was expected to become the team’s starting goalie, but he didn’t cope with the assignment. He played only 14 games, with a goals-against average of 3.5 goals per game with a save-percentage lower than .870. Of course, the boards weren’t happy at all with this kind of numbers and decided to dissolve the contract with the netminder.